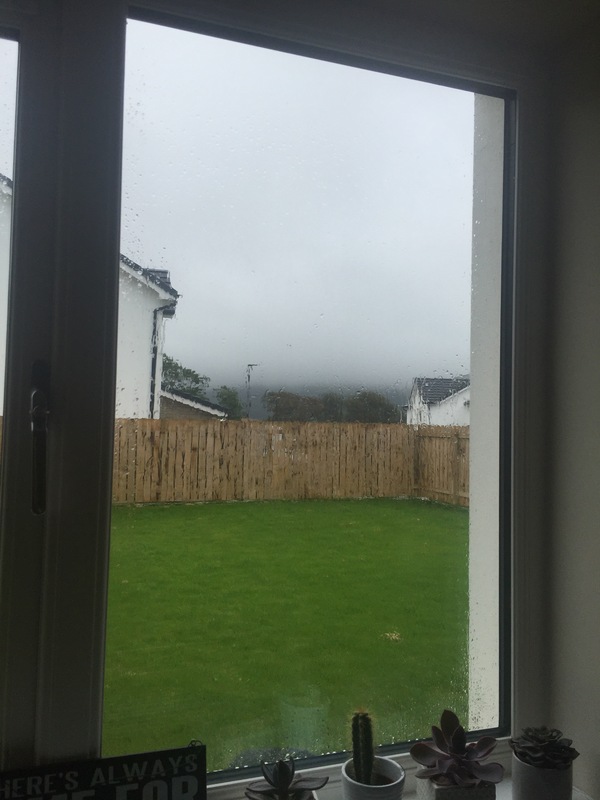 If you’re in the Isle of Man, you’ll know that today has been a grey day. The sky is grey, the sea is grey and, to be perfectly honest, my mood is grey. I woke up, ready to make the boy a nice breakfast. He’s been off his food since we were all ill at the weekend, so I wanted to do something nice for him. I made some lovely Blueberry Drop Scones from the Baby Led Weaning Cookbook app, which went down pretty well, but that’s where the good part of the day ended. At the moment I feel very much like I’m drowning under the sheer amount of unfinished jobs I have on my to-do list. We have family visiting at the weekend, and I still have to make their bed, put out their towels, clean the bathrooms, put toiletries in the bathroom, clean and tidy the kitchen and dining table, tidy the hall, vacuum throughout, mop the kitchen floor and clean tiny sticky fingerprints off the glass doors and TV stand. Then I need to go shopping for the food and drink for the weekend. The only job I’ve actually managed to finish is the dusting. The same thing happens every time we’re expecting visitors, and every time I vow to stay more on top of everything once it’s tidy. I just don’t seem to be able to find a system that allows me to look after the boy, go out and do nice things with him, keep the house tidy and have any time to rest. So, again, instead of actually getting much done, I’m sat here just looking round and wondering where on earth to start. How will it all get done in time? When will I finally crack this stay-at-home Mum thing and not let it get to this point? I guess I’ll have to put that off again, to be figured out another day. For now, I’ll just keep wading through and hope for the best. If you have any hints, tips or routines for keeping on top of household chores, I’d love to hear them in the comments below or via Facebook or Twitter. I find weather affects me so much! When it’s gray and gloomy outside I feel so sluggish. It really does make a difference! It definitely makes a big difference! The days when it barely gets properly light and is just miserable are the worst.